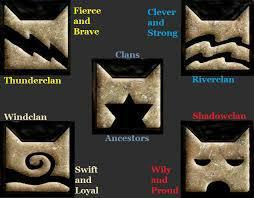 Warriors is a great series made by Erin Hunter. 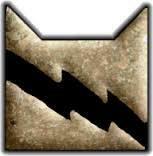 This site has lots of information, comments, and things about Warriors. Warrior books are about cats that live in different clans. They hunt, fight, and live in the wild. They believe in lots of things. 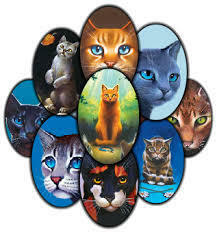 They believe in Starclan, omens, and visions. Leader: Bluestar—blue-gray she-cat, tinged with silver around her muzzle. Deputy: Redtail—small tortoiseshell tom with a distinctive ginger tail. Medicine Cat(s): Spottedleaf—beautiful dark tortoiseshell she-cat with a distinctive dappled coat. 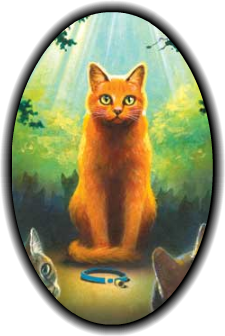 Warriors: Lionheart—magnificent golden tabby tom with thick fur like a lion's mane. Tigerclaw—big dark brown tabby tom with unusually long front claws. Longtail—pale tabby tom with dark black stripes. Willowpelt—very pale gray she-cat with unusual blue eyes. 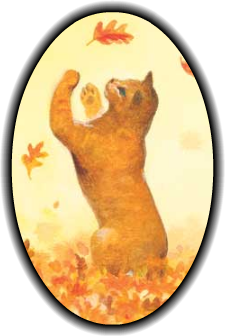 Apprentices: Dustpaw—dark brown tabby tom. Ravenpaw—small, skinny black tom with a tiny white dash on his chest, and white-tipped tail. Queens: Frostfur—beautiful white coat and blue eyes. Speckletail—pale tabby, and the oldest nursery queen. Elders: Halftail—big dark brown tabby tom with part of his tail missing. Smallear—gray tom with very small ears. 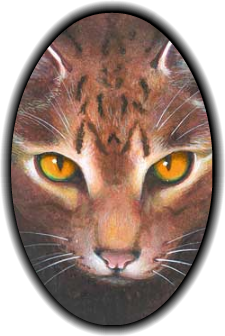 The oldest tom in ThunderClan. One-eye—pale gray she-cat, the oldest cat in ThunderClan. Virtually blind and deaf. Dappletail—once-pretty tortoiseshell she-cat with a lovely dappled coat. Leader: Brokenstar—long-haired dark brown tabby. Deputy: Blackfoot—large white tom with huge jet-black paws. Medicine Cat(s): Runningnose—small gray-and-white tom. Next to this box is a list of the cats. Scroll down for more information! This is a really long list!